I’ve known Nancy Gideon for. . .well not long enough. She is generous to a fault and one of the most kindly honest people I know. It is an honor and a pleasure to have her as my guest this week. She’ll tell us a little about herself and her latest book then follow up with hilarious answer to a few of those weird questions I like to ask my guests. Read all the way to the end of Nancy’s interview and you’ll find a short treat (I”m not telling). If you don’t know Nancy or haven’t read her books, you’ve got some terrific times ahead of you when you do. If you already know Nancy and/or her books, I don’t have to tell you how much fun she is to be around. Now, here’s Nancy. I’ve got lots of launch party giveaways going on. Please tell us about your most recent release. Gladly! BETRAYED BY SHADOWS, the 7th book in my “By Moonlight” dark paranormal series with Pocket Books is available on 12-17-12! That’s NEXT week!! This is my first e-exclusive as part of Pocket’s new Star program and it’s tastily priced at $1.99 for the first four weeks before going up to the regular price of $5.99. You can pre-order at Amazon or Barnes & Noble What’s it about? I’ll tell you in pictures and music in my book trailer. I just turned in the next book in the series. PRINCE OF SHADOWS will be available on 5-27-13 – my birthday! 1. What would you want to be written on your tombstone? 3. Who is the person you trust most? Its persons. My critique group. These fabulous ladies have seen me through all my major life dramas, both ups and downs. They’re more than friends . . . they’re family. 4. What’s your favorite word? If you’ve ever ridden in a car with me or bought me a drink (I’m not a big drinker! ), you already know what it is. How ‘bout that drink and I’ll tell you all about it. 5. Who told you they loved you last? My five-year-old grandson. I never get tired of hearing it. 6. Last furry thing you touched? Thank goodness it wasn’t something in the back of the refrigerator! It was Jasper. He’s my new $800-in-dental-bills free cat. He’ll be working off his debt by being snugly for the next 8 to 10 years! 7. If you had to choose between a million bucks and being able to fly, which would you choose? I’d take the money and pay someone else to do the flying so I could ride first class. It’s all about those hot towels. 8. What is your guilty pleasure Disney movie? “The One and Only, Genuine, Original Family Band” from 1968. I fell madly in love with Kurt Russell’s singing and dancing! Still very fond of him to this day! Who knew a Disney boy would become such a badass?! Kurt, you aged well. 9. Do you have a secret talent and what is it? I have a photographic memory that helps me be uber organized (which I have to have since I have ADD! Ooo, shiny!). I know where every file and piece of paper is in the office at any given time. I’m the go-to person for setting up meal reservations and daytrips on vacations and conferences. I live to make lists! And check them twice. 10. What is one unique thing are you afraid of? Things that aren’t in their proper order (see above!). . . you know, cupboard doors half open, spoons and forks co-mingling, patterned towels hung wrong side out, mail or money not all facing the same direction, M&Ms not sorted by color and number, anything on my desk that’s been moved since I last sat there. Freaks me right out. OCD much? 11. You have the opportunity to sleep with the movie-celebrity of your choice. Who would it be? I would do Jeremy Renner in a heartbeat! Poor guy is probably hiring extra security right now! I can hear my son – “No, Mom, they don’t have a life-sized Hawkeye figure with removal clothing!” Too bad. That’d be on my couch watching Netflix with me and son would be out the door! 12. What is your favorite expletive? Didn’t I already answer this f-ing question? Oh, sorry, that was favorite word. My bad. 13. Your house is on fire! You have just enough time to run in there and grab ONE inanimate object. Don’t worry, your loved ones and pets have already made it out safely. So what’s the one thing you’re going to save from that blazing inferno? My laptop . . . duh! My entire life is on that hard drive. Stuff can be replaced. Ideas and memories can’t be. 14. You accidentally eat some radioactive vegetables. They were good, and what’s even cooler is that they endow you with the super-power of your choice! What’s it gonna be? It’s always good to get some benefit from vegetables . . . I’d like the ability to clone myself so part of me could sleep in instead of getting up at 5:00 a.m. to write. And so I could send the clone to work for me on those icy winter mornings in Michigan. 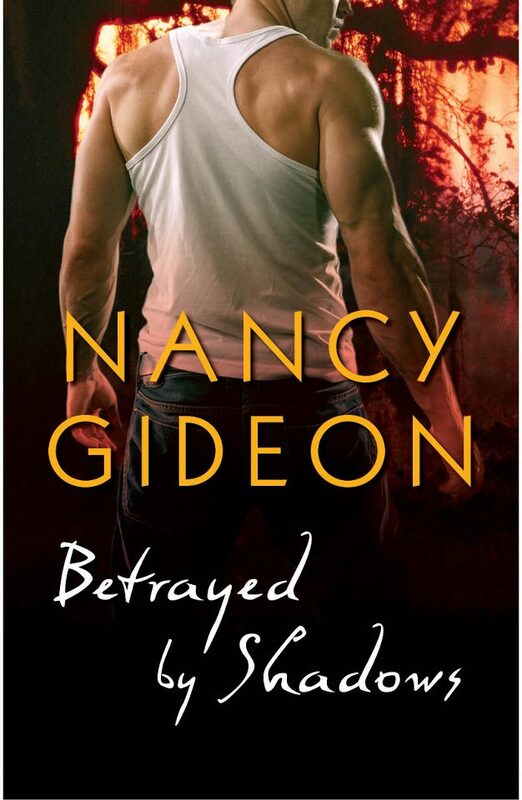 Extra Treat for all who read this far, the blurb for Nancy’s newest release, Betrayed by Shadows. Balancing a criminal empire and a preternatural clan war, reluctant front man Giles St. Clair doesn’t need a problem like Brigit MacCreedy . . . How much trouble can the head-strong and manipulative Shifter beauty get into in two weeks? Plenty when her schemes range from kidnapping to fleeing the retribution of her dead lover’s clan. With her family’s lives on the line, Brigit is willing to do whatever it takes to save them. The only thing standing in her way is an immovable stone wall of a man she can’t bully or beguile . 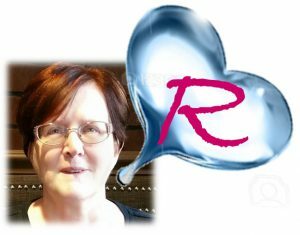 . . a human, no less, who has promised to protect her from the secrets and dangers she conceals. Risking her own safety gets complicated when an honorable and annoyingly desirable man puts himself between her and her powerful enemies in a battle he can’t win in this Taming of the Shrew meets Shifter Goodfellas on the Bayou tale of consequences, redemption and finding love in all the wrong places.